Diamonds that sparkle hues of crimson, azure or amber might be the freshest new diamond in the industry today, but blue white fluorescent diamonds were a trend in Europe since hundreds of years! Occurring in 1/3rd of all diamonds certified by GIA, fluorescence is gradually becoming a hot trend while a strong majority still vouches against it. If you have done fair research on Fluorescence of diamond online, you must have come to the conclusion of being ‘confused’ over the endless contradictions about the fluorescence from myriad of online diamond geezers. Also priced cheaper than non-fluorescent diamonds, fluorescent diamonds are have been de-voted owing to its milky, oily or hazy appearance, also marring the transparency of the rock. Rest, assured the diamond peace army has compiled a simple approach to understand and pick out the best fluorescent diamonds without ado. What is Fluorescence in Diamonds? Extant long before GIA noticed the colorful sparkle; blue white fluorescent diamonds were popular as a rare and expensive gem in Europe. Blue white was a term used to elaborate the blue to yellow fluorescence that was noticed in the rocks. The highlight of the blue whites that kept it high on demand owed to the startling ‘ice effect’. It took years to realize that some blue whites were hazy and vendors began renaming the same as Milky Ds. Technically, this meant that the diamonds was nearly opaque with a strong hue of its color, with a grade D. The beautiful light effect of diamonds under Ultra Violet light, mostly in the color blue is termed fluorescence today. Diamonds are made up of carbon particles that are crystallized under high pressure about 125 miles below the ground. During the process of crystallization, a diamond can attain mixed compositions of boron or other elements like nitrogen from the soil. Have you observed certain parts of your body glow in UV or blue light? As sunlight contains UV, when these diamonds are passed under the UV light, the trace elements absorb the UV rays and release the energy through fluorescence. Every diamond is different and depending on its internal composition, fluorescence differs. As every diamond absorbs different quanta of electromagnetic radiation, the fluorescence is emitted in colors such as yellow, orange, white, pink, green or blue. The most important part of finding the best fluorescent diamond is by checking and rechecking it well to distinguish the transparency with YOUR OWN EYE. How does fluorescence in Diamonds happen? According to GIA official reports Fluorescence is defined as the intensity of a diamond to get excited or its reaction under long-wave of ultra violet rays. The fluorescence is termed to last as long as the UV rays are passed through the gem. Fluorescence owes the peculiar light effect owes it to the constitution of a diamond. Almost 50% of all Diamonds in the world have a higher composition of particles like aluminum, boron and nitrogen. When these gets excited by absorbing all the UV light, the trace elements jumps to high energy orbits and emits glowing light in shades of yellow to blue. Also called the back light of diamonds, fluorescence in diamonds can also be used to make the I-M grade color of diamonds look whiter and clean. The best fluorescence to lookout in the I-M grade diamonds is medium to strong. Owing to the reason that daylight indoors does not have active UV, it is better to seek a diamond of stronger fluorescence and clarity, if you reside mostly indoors and wish your bauble to glow. The three fundamental grades of fluorescent diamonds are milky, hazy and oily used to differentiate or rate different types of fluorescence in a diamond. The three textures are used to describe the rate of derogatory effect on the rock owing to fluorescence. According to GIA less than 3% of the diamonds that are medium to strongly fluorescent are also hazy or oily in appearance. The clouded nature of fluorescent diamonds is also the biggest demerit of the naturally sparkly diamonds. Mostly consisting of impeccable color depth, diamonds with very strong fluorescence also tend to be highly milky, cloudy or hazy. These diamonds tend to blur the clarity and dull the appearance of the diamond. Termed as rare by the GIA, Very Strong fluorescent diamonds must be bought only after several trials. Avoid purchasing G to H grades of colors for diamonds with Very Strong Fluorescence. Displaying a notch lower fluorescence than Very Strong glowing diamonds, Strong fluorescence is more in trend of glowing diamonds than the Very Strong variety. The fact is that there are certain diamonds with strong fluorescence and high rate of cloudiness as well and care must be taken to analyze the diamond well before buying. Called the superior variety of fluorescent diamonds, medium variety of diamonds has a controlled and stable fluorescence sans the maximum opaqueness. These diamonds are not hazy or milky and tend to provide good clarity and luminescence under UV light. For diamond colors of H to K, it is good to consider blue medium luminescence of diamonds. Any diamond that possesses a negligible fluorescence is graded faintly fluorescent. While GIA calls it Faint, AGS terms it negligible. These diamonds are never hazy or cloudy due to the fluorescence present in them. This does not mar the appearance of the diamond, but simultaneously glints with a glowing shade. 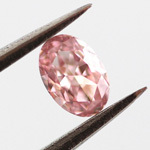 In fact, in diamonds with color grades D to F, the transparency is highly sought after. However, this also means that fluorescence will not render whiter shades for colored diamonds. A large majority of fluorescent diamonds are in the shade of blue. In fact, blue fluorescence is also costlier than all the other alternative colors of fluorescence. Some other colors of fluorescence in the gem are green, orange, green and yellow. While blue fluorescence is the most popular variety, when the colorful fluorescence is paired with colored diamonds, the perfect match is seen! On the other hand, diamonds that are colorless with a colorful fluorescence will appear to be emit a mild shade of fluorescence under daylight. Mostly, diamonds with fluorescence are discounted for its lower quality or increase in cloudiness. These diamonds needn’t be all of poor quality because a large populous of diamond enthusiasts still consider fluorescence as a premium and rare quality in any diamond. In fact, when a certified diamond has fluorescence labeled on the report, it also loses a percentile on the re-sell value! Fluorescent diamonds are not everyone’s cup of tea. In fact, there are several myths and facts about fluorescent diamonds and its effects of appearance as well as purity. The most important fact to remember when considering buying fluorescent diamonds is the geography of the place you intend to wear it. If you live in a region with long summers, the maximum sparkle of your fluorescence will be highlighted more and you can choose a centre stone based on the geography of where your ring will be in the future. Owing to the lack of research, it was noted decades ago that structural integrity of a diamond is not compromised depending on the rate of fluorescence. While the subatomic particles merely get excited and come back to the original orbits, the structural integrity of a fluorescent diamond remains constant throughout. Depending upon how strongly the diamond is fluorescent, haziness is noticed in diamonds. Seen as a con of the fluorescent diamonds, milky diamonds are mostly sold with the label of low-quality. These tend to diminish the transparency and clarity of the diamond when the fluorescent is too much. Commonly referred to as Overblue diamonds, these diamonds have white and cloudy spots that can be observed with the naked eyes. Nevertheless, if you match the right fluorescent diamond with the right grade of color, enhancing the depth of color and clarity becomes easy too. Fluorescence in diamonds is a common characteristic according to GIA experiments. In fact, the inferences of the experiment states that 25%- 35% of the diamonds display faint to very strong degree of glow from blue to yellow. However, only 10% of these possess fluorescence power enough to give a visible glow to the diamond. More than 95% of diamonds display the fluorescence color of blue, which is the celebrated blue glow. Known as the rarest diamonds, depending on the strength of the blue fluorescence, the complementary shade next to yellow, blue glowing diamonds are rare. Blue fluorescence also impacts the clarity and transparency of diamonds. Depending on the elements that comprise a diamonds lattice during its creating is known to impact the fluorescence or lack of the same. Known as blue whites in the start, these diamonds were premium rocks, but soon were handled by corrupt diamond geezers which led to the FTC ban on low-quality blue whites. Soon after the blue glowing diamonds were misconceived as impure its premium quality and costly demeanor changed. Began as a trendsetting rock in its early years, today fluorescent diamonds are cheaper than their counterparts that don’t light up equally. While price is determined by the rate of fluorescence, it is the haze in the diamond that determines its quality as well as price. For example, the D-H colored diamonds with fluorescence will sell 10% -30% higher to the fluorescent ones while the diamond of grade I to N with VS Fluorescence is priced 5% more than the non-fluoresce rocks. This owes it to the fact that some diamonds look too yellow or marred and the best solution to cure this is to choose Very Strong blue fluorescence, which cancels the yellow and whitens the rock. With most of the confusions prevalent since the GIA fluorescence study in 1997, the inferences noted by the renowned gemmology institute had many contradictions. Nevertheless, the first official study on the fluorescence of diamonds was first studied by the GIA on diamond experts as well as consumers. The grading of fluorescence as well as the 4Cs of a diamond is observed under regulated lighting enhanced by the high definition viewing angles and magnifications. With an aim to create convenient and simplified diamond fluorescence parameters, GIA observed varied angles and lighting on fluorescent diamond with the help of 46 participants internal and external to the diamond industry. This color assessment of the diamond’s glow noted that diamonds with fluorescence also has identical clarity, symmetry, cut and shape! With milestones representing the shade of glow, the fluorescence was examined under varied environments as well. For a layman, the medium fluorescence meant nothing according to the inference of the study while the diamond experts termed varied conclusions on the appearance and color of the rock based on its glow. As GIA adopted the most practical method of table-up observation of the diamond, the conclusion was contrasting. Many observers also termed fluorescent diamonds as an appealing look than their counterparts. The final inference draws from the experiment was that the fluorescence had nothing to do with the structural integrity as well as the appearance or color of the diamond. Mostly noted as a false conclusion owing to its baseless remarks, GIA added that haziness did not add a con to the fluorescent diamonds, but made it costlier. Contrary to the GIA conclusion that transparency of a diamond increases with the increase of fluorescence, fluorescent diamonds are still a rising talent. Fluorescence of diamonds is observed when the gem is passed through UV rays while some diamonds continue to emit light even after the UV ray interference, which is termed as phosphorescence. The best example of a loose diamond with phosphorescence is Hope Diamond, which glows in a red color long after the UV light source if off. If your chosen diamond has blue fluorescence, appearance of the diamond will not be a bother, but bonus. In fact, if the fluorescence is negligible or faint then, the clarity of the diamond will not be an issue. Make sure to observe your rock under multiple angles and magnifications to make sure that the glowing diamond you pick is not a blurred glow! Another important aspect of buying fluorescent diamonds is where you choose to buy it. If the glowing diamond is bought at a brick and mortar store, analyzing as well as ensuring that rock has no haze is definite. On the other hand, online buying of fluorescent diamonds is highly downvoted. As digital pictures cannot display the nature of fluorescence lucidly of a diamond without variations, online products with 3600 rotational video will provide deeper clarity. Nevertheless, the glow can go wrong, until and unless you see it in real time. The best engagement ring to have with fluorescent diamond is one with the S11 clarity in the grade H to I with strong fluorescence. My name is Sandiaga Jaya and i would like to purchase a diamond from your webstore. will be better and export to Singapore as well via FEDEX or UPS delivery. please visit our top recommended!